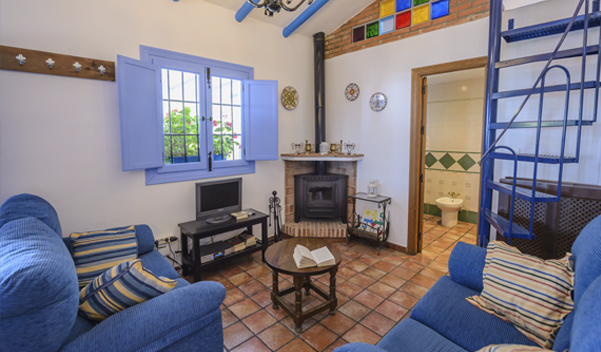 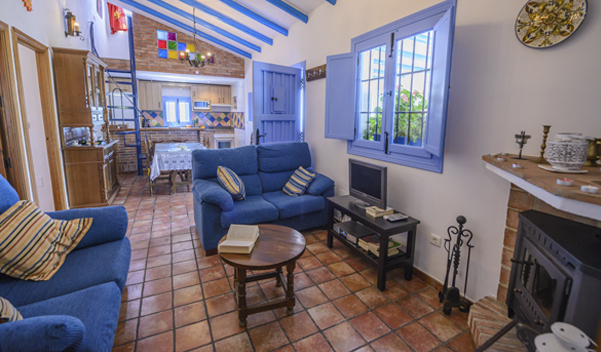 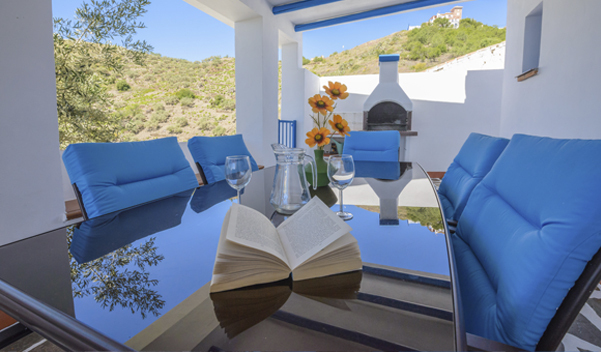 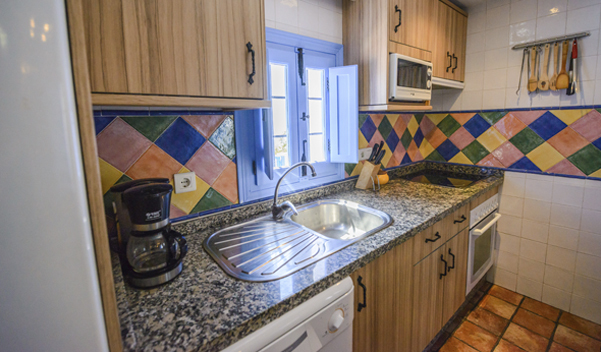 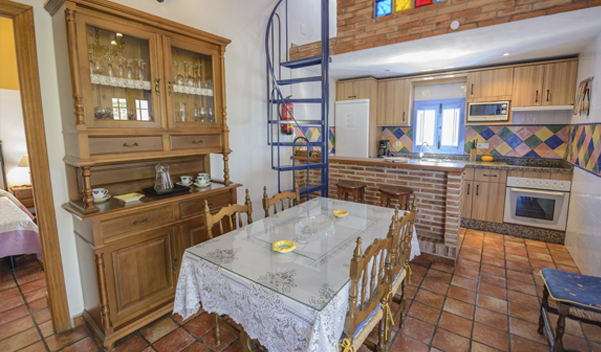 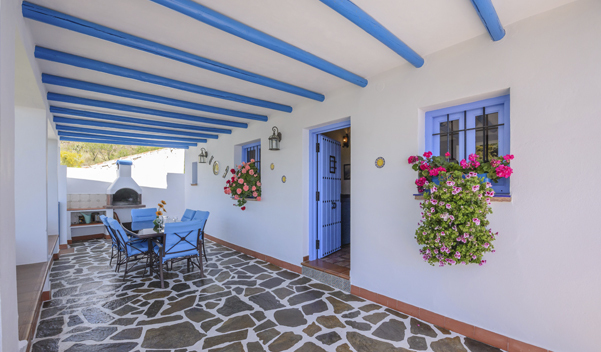 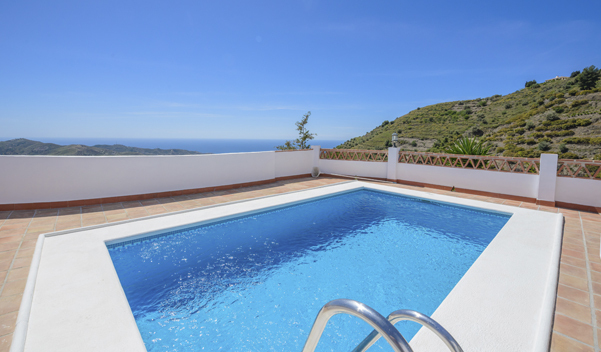 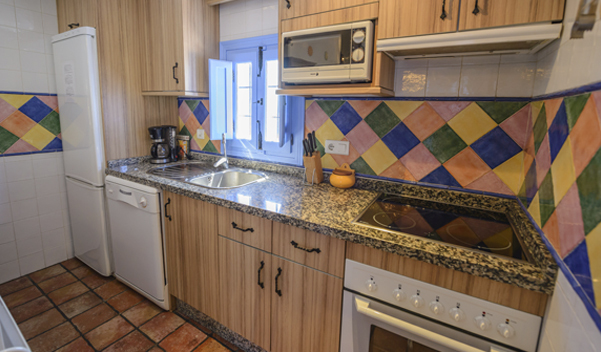 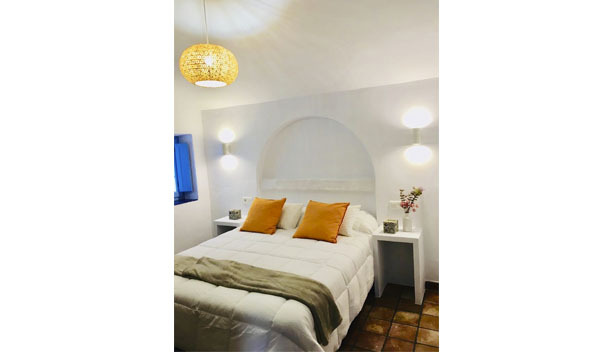 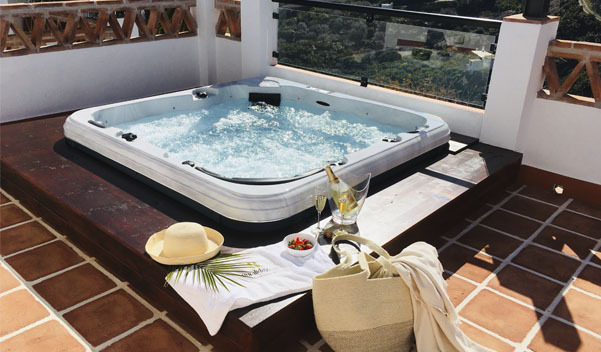 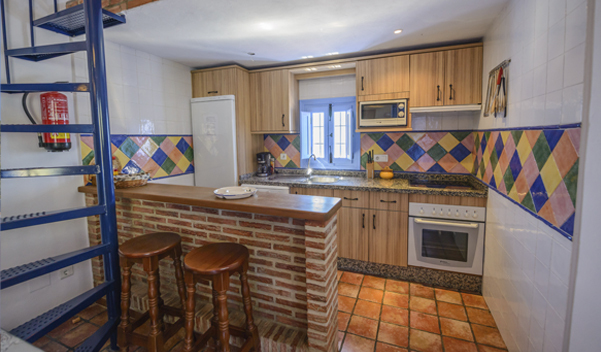 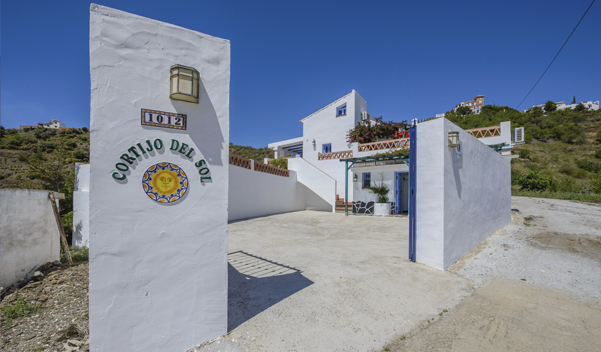 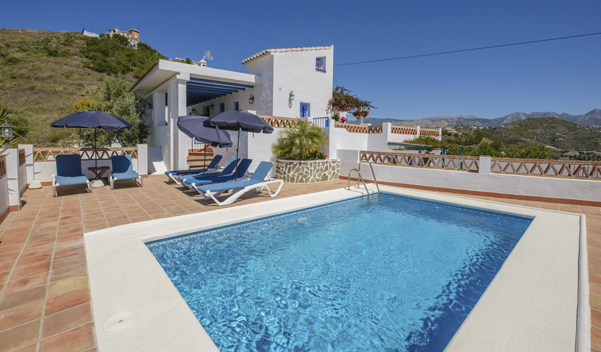 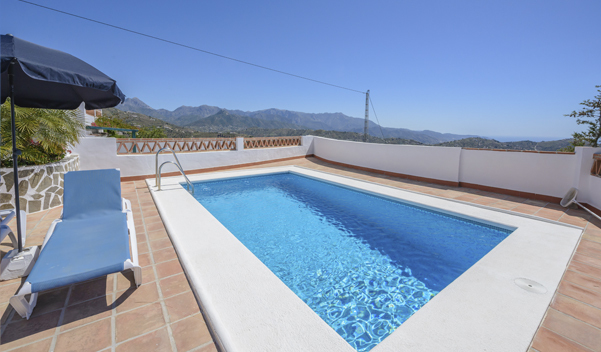 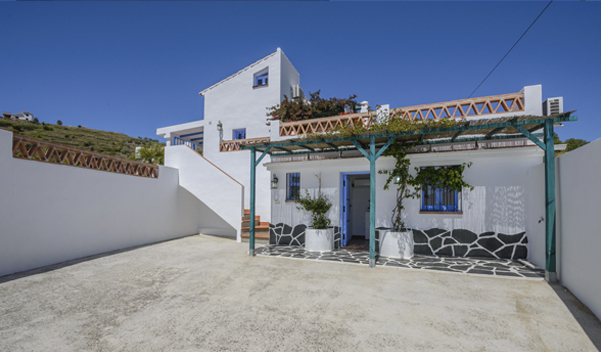 A beautiful typically Andalusian country house restored for modern living with 3 bedrooms and 2 bathrooms, a fully fitted kitchen, living room, terraces and swimming pool. 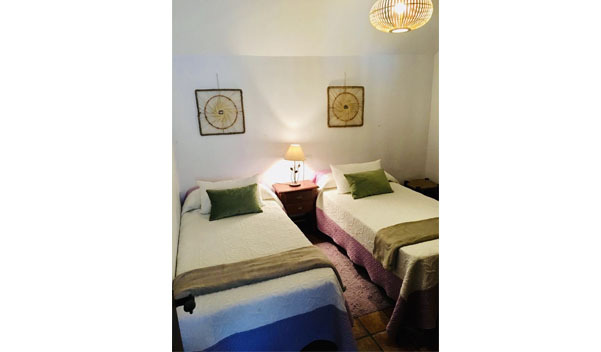 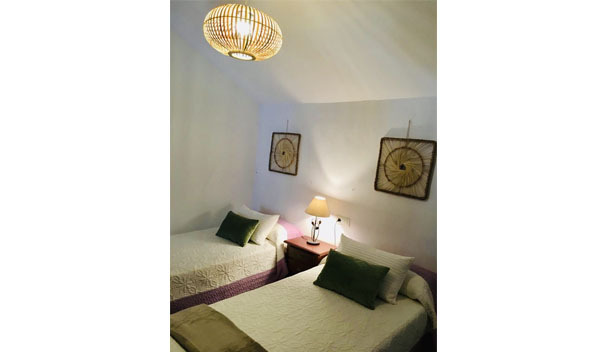 The main house is composed of a living room with dining area with wood burning stove, fully fitted kitchen with American-style breakfast bar, large bathroom with double sinks and shower cubicle and two double bedrooms, one with double bed and the other with twin beds. 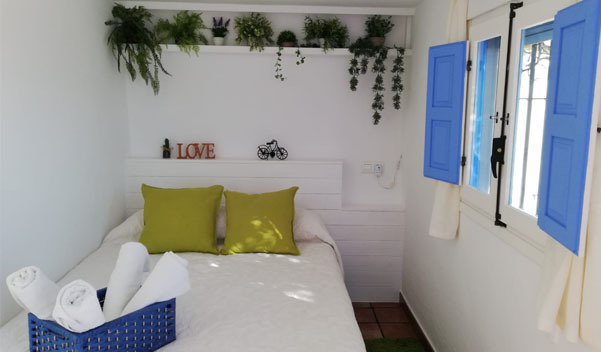 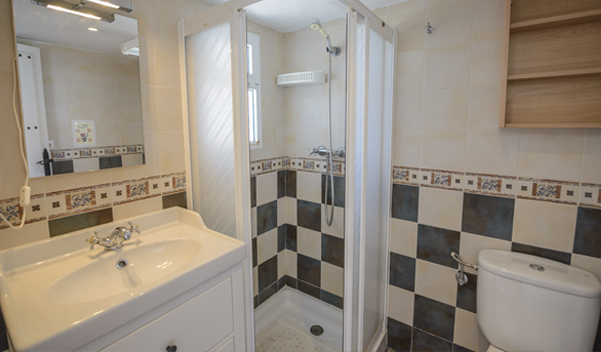 Close to the pool area there is further accommodation of a bedroom with a double bed and another bathroom with shower cubicle. 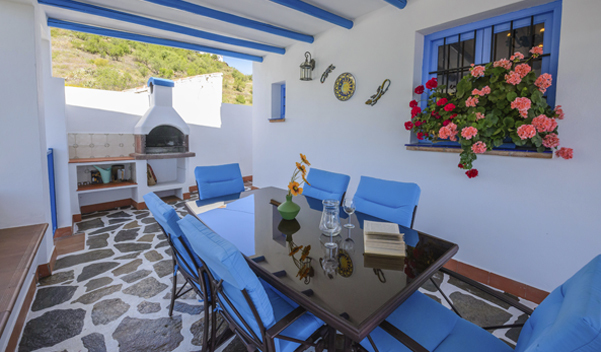 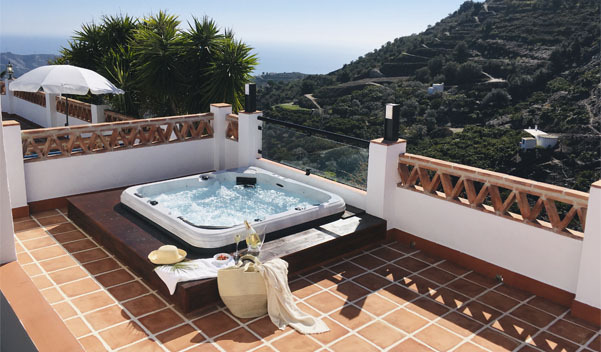 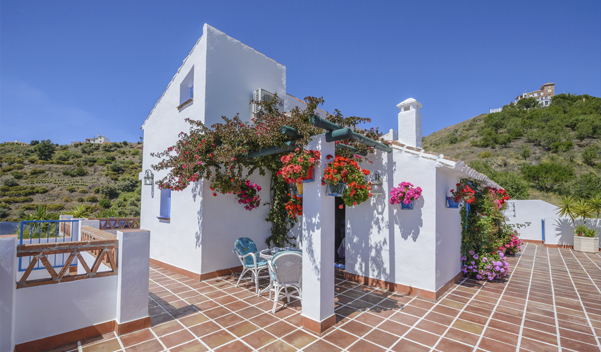 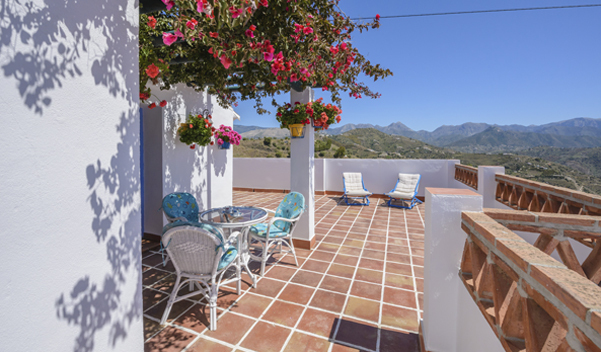 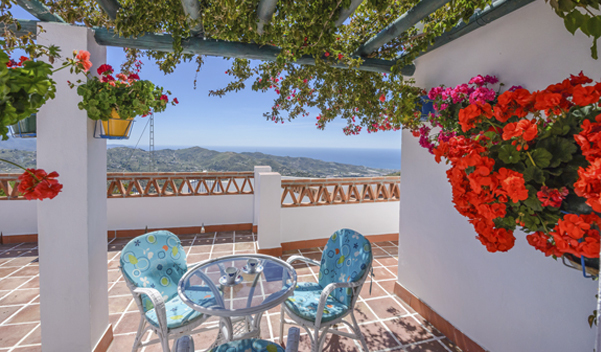 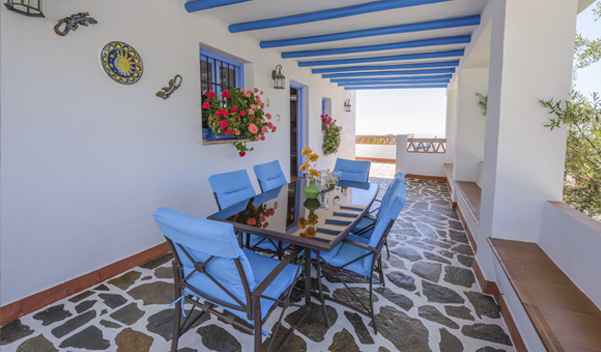 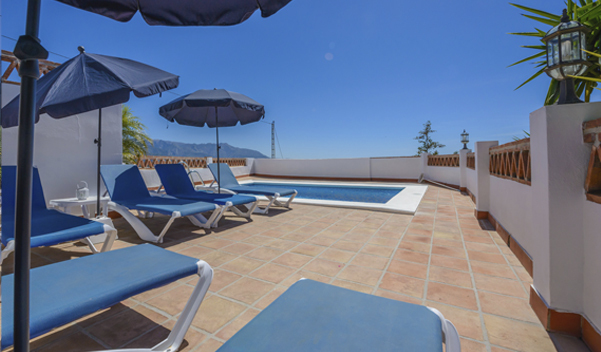 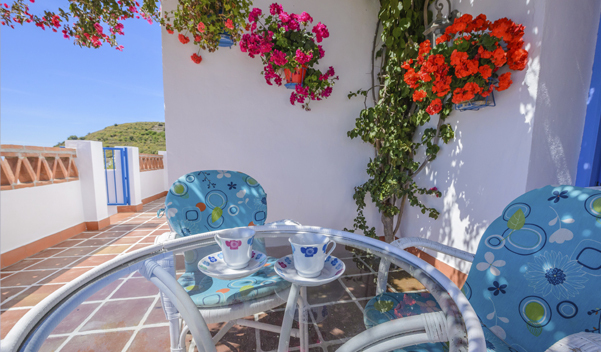 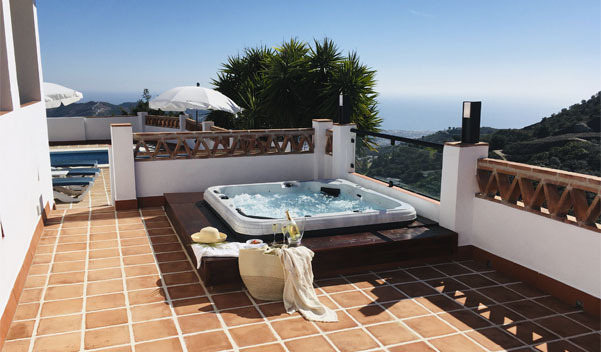 There are many lovely terraces from where you can enjoy the fantastic mountain and seas views. 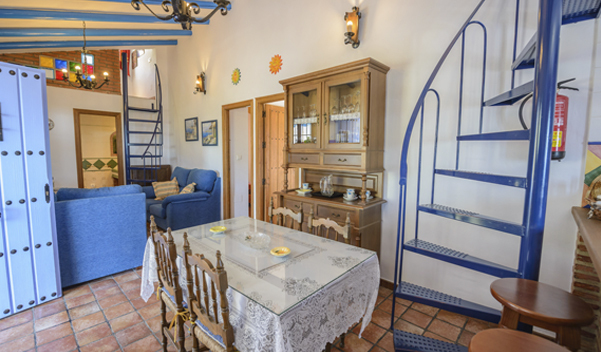 The house is surrounded by olive groves and vineyards and the house in fact still maintains two drying beds for raisins, a practice which can still be seen in this area. 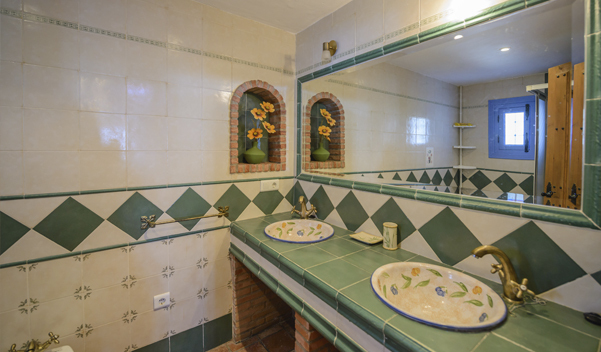 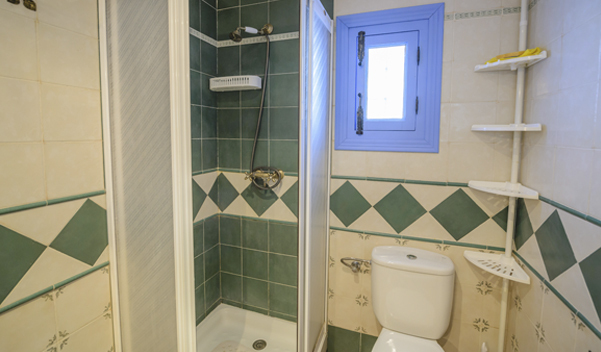 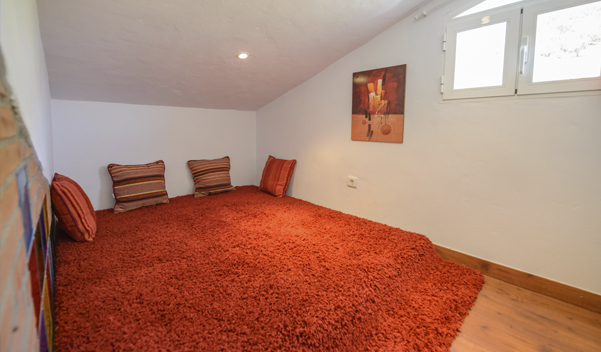 The whole property is completely private and not overlooked on any side. 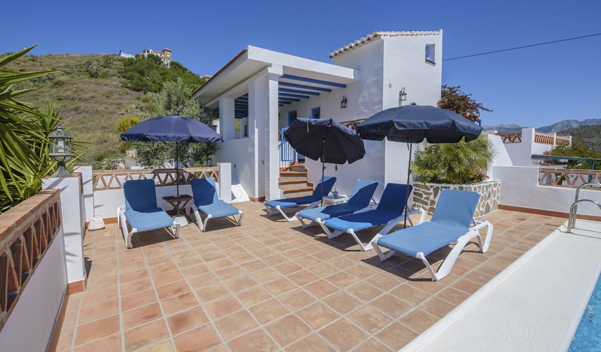 There is plenty of seating areas both close to the BBQ area and the pool area. 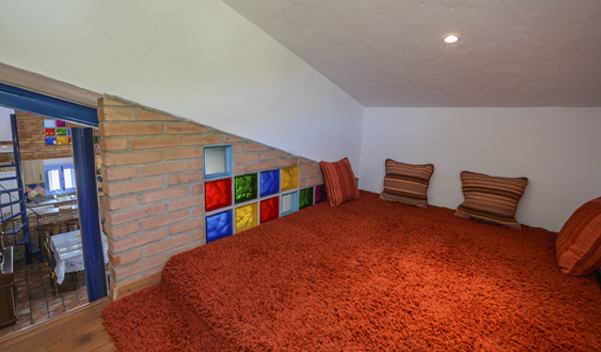 Esta página se ha visitado 4,147 veces!